2017 Lohis Surf Season Review. 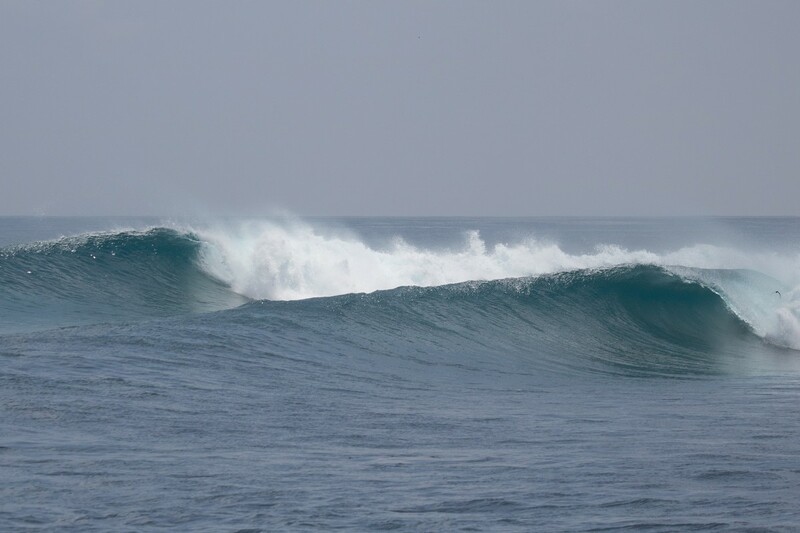 The seasons are so predictable here at Hudhuranfushi Resort in the North Male region of the Maldives that I could probably just copy past the end of season surf summary that I wrote last year. You really can guarantee that late March/April will have small but beautiful surf every day. The water will be pristine and the crowds light. The weather will be stunning. This year was no different. Next year will be the same. It really is a magic time to be here. This year, we had the Billabong girls on island for a couple weeks mid March and if 3-4ft glassy, perfect lefts and sunny skies were what they were looking for, then it’s safe to say they scored! Mid-April saw our first bigger swell of the season (as usual) and the inside section at Sultans had some nice tubes, while Jails was slightly smaller but oh-so-fun. Owen Wright and Wilko came to stay and after one session our ideas about how to surf Lohis had been changed forever! This year, May stayed glassy for longer than usual, with some absolutely pristine days out the front, but then the wind picked up and it didn’t really improve until June. July was very similar to June in that we had waves every day, and the winds were generally very favourable. Some days saw such good quality waves that long-time surf travelers were making comparisons to Indonesia, just without the arduous travel. Filipe Toledo turned up, stayed for ten days, and minds were blown. Everyone knows what he did at J-Bay the week after he was here, and he directly attributed his performance to how relaxed and happy he was going into the event. August is such a good month that for a couple weeks, 90% of our surfers were repeat guests – these are guys who know what they like in a surfing holiday and their repeat patronage is the biggest compliment. This year we had six weeks straight of really good waves. Oh, and Gabriel Medina came to the party. The waves were a good size and crowd non-existent, but rather than sit on the usual (easy) take off, he sat way down the point and surfed the closeout section, affectionately known as ‘Dump Trucks’ by the WA boys. Of course he proceeded to thread deep tubes and launch airs over dry reef, before dinner and dance moves later that evening at Lohis. October reminds me of April. There’s always one good size swell and then it’s 2-4ft every day for the rest of the month. This year, the bigger swell came around the 17th and it stayed good until the end of the month. November started with Mick Fanning, Wilko and Connor Coffin calling in for a couple days of small, but rippable Lohis with zero crowd. It’s now the 19th Nov and we have had 2-4ft glassy surf for 17days of the month so far! Cheers and see you next year.